light dinner, originally uploaded by aarn! +28th May, 2008+. 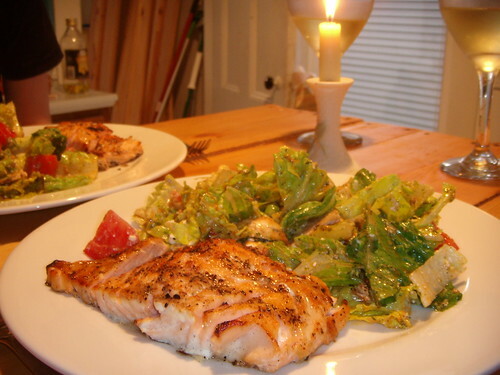 some romaine hearts with green onions, mushrooms, tomatoes and feta, tossed in a garlic, dill, lemon, and sun-dried tomato dressing, served with a piece of alaskan salmon grilled in a pepper and honey glaze.